12 months for the price of 9! Apply for Homecover online now! You can apply online for Home Cover quickly and easily by filling in your details in the application form below. We'll send you the introduction pack, including a direct debit form for you to sign and return. One Safety Inspection and Service of your appliance in every year of your homecover. Labour and parts, if your appliance breaks down. No limit to the number of call-outs to carry out work included in your agreement. A customer helpline available 24 hours a day, every day. Priority service (every day of the year). We will endeavour to attend within 24 hours of your call to our helpline subject to workload and labour available. Advice about your system from our engineers. We base your agreement on the homecover options you choose (listed and described below). This will give you the guidance on what you can expect from each service option. You should also read the 'General exclusions' section below. There are three different homecover plans, which you combine to suit your needs. Bronze - gas central heating boiler and controls only. Gold - gas central heating boiler, controls and system PLUS Plumbing. If your boiler is seven years old or more, and it is not possible to repair it because, for example, spare parts are no longer available to carry out the repair or you choose to replace it at any time (however old it is) you are entitled to a 10% discount off the full installation cost of a replacement boiler if you choose us to replace your boiler. All necessary PowerFlush work after your initial PowerFlush ( which we charge you for ) See the PowerFlush section in this leaflet. There is no age limit on your boiler and it does not matter who installed it, as long as all the essential working parts are available from the original equipment manufacturer and it is approved by us. Repairing or replacing the mains cold-water stopcock, water softeners, shower pumps and mixer valves, mechanical pumps, water filters, radiators, swimming pools, decorative garden features, rainwater pipes and guttering, macerators such as Saniflo, and electrical units for toilets. Repairing or replacing appliance flues that aren't part of your boiler. Repairing or replacing parts of your central-heating system and controls that are specifically designed for piped or electric underfloor heating. Please also see 'General Exclusions'. Unless we are responsible for it, loss or damage to property caused by the appliance, boiler or system breaking down (for example, damage to furniture caused by water leaks) If we have to dig on your property, we will fill in any holes and leave the surface level but we will not necessarily replace the original surface or construction. Any redecoration that may be needed following our work is your responsibility, unless we have been negligent. The cost of repairing faults or damage caused by freezing weather conditions ( except certain repairs included in Plumbing), subsidence, structural repairs, accident, fire, lightning, explosion, flood or storm. The cost of repairing damage caused by changes to, or problems with the gas, electricity or water services. You should check your household insurance to make sure you have enough cover for these risks. Improvements including work that is needed to bring your system up to current standards. Examples of improvements include system upgrades, such as adding thermostatic radiator valves, replacing parts such as flues which do not meet current standards, and replacing working radiators with improved models (These are examples only, not a complete list). Replacing or repairing decorative or other parts which do not affect how the system or appliance works. Repairing or replacing any lead or steel pipes. Repairing faults or clearing physical blockages (blockages such as rubble, sludge and scale, but not air locks) if we have told you permanent repairs or improvements are needed to make sure your appliance or system works properly. We will only tell you this if, in our expert opinion, it is necessary. Removing asbestos associated with repairing the appliances or system. When you have had any asbestos removed, you must provide us with a clean-air certificate before we will do any further work at your property. By law, the person who removes the asbestos must give you a clean-air certificate. Repairing any damage caused by our work or redecorating, unless we or our agents have been negligent or broken this agreement. Cash alternatives for repair or maintenance. Safeheat Homecover agreements are only available for appliances in domestic use inside your home. If you own a domestic property which you let out, we will offer you a landlord cover agreement only - please see the landlord cover section below. Your agreement begins when we receive your satisfactorily completed your application *Subject to survey. Tell you what work is needed and what it will cost you for that work to be done. Cancel the agreement and refund your money. We will carry out a Safety and Maintenance Inspection once in every year of your agreement. We will aim to carry out the Safety Inspection & Service around the same time each year where possible, depending on our workload and your appointment preferences. As long as we can get into your home, we will always make sure we check that your system is safe. You can also call us at any time to arrange or rearrange your Safety and Maintenance Inspection. Circumstances arise (including health and safety issues) which make it inappropriate for the contract to continue. Give you a refund based on how long is left of any 12 month advance cash, cheque, credit card or debit card payment. There will be a minimum payment of £75.00 a year if we have done work. You may also cancel your agreement immediately, either after us letting you know about changes in prices or terms and conditions, or if we fail to do something which we should have done. In this case, you will receive a refund based on how much time is left of the relevant 12 month period or, if you agree, we will put things right and continue the contract. You may cancel your agreement at any time, giving one months notice period. If you do so after we have done an inspection or other work, and you have paid less than £75.00 in the last 12 months at the time you cancel, we may charge you an extra amount which brings your total payments under the agreement to £75.00 when we have done an inspection or other work. If we do not carry the spare parts your repair needs on the day we will do all we reasonably can to find parts from our suppliers. We may use approved alternative parts or parts that have been reconditioned by the original manufacture. This service is available to landlords who let out properties for domestic purposes. 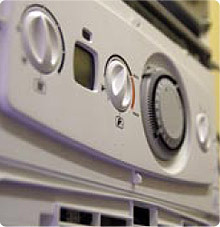 By law, landlords must have gas appliances in properties they let checked for safety every 12 months. They must, by law, also hold a Gas Safety Record as proof. We can carry out the inspections that are needed at the same time as the safety and Maintenance Inspection. By Law, we will check and issue a Gas Safety Record for all gas appliances within the property. Additional appliances covered at an additional cost. If you, or we, cancel your agreement after we have provided a Gas Safety Record, and you have paid less than £75.00 in the last 12 months at the time you cancel, we will charge you an additional amount, which brings your total payments, under the agreement, to £75.00. It is your responsibility to let us into your property. If we cannot gain access to your property to carry out the necessary work, we will tell you to arrange another appointment. If after the several attempts, we still cannot gain access, we may cancel your agreement. We will tell you in writing if this is the case. Help run, and contact you about the improved running of any accounts, services and products we have provided before or provide now or in the future. Contact you in any way (including mail,e-mail,phone,visit, text or multimedia messages) about products and services offered by us and selected partners. We will only contact you in this way if you have previously shown your consent. Carry out statistical analysis about credit, insurance and fraud. If you give us information on behalf of someone else you confirm that you have given them the information set out in this document, and that they have not objected to their personal information being used in the way described in it. If you give us sensitive information about yourself or others (such as health details or any criminal convictions of members of your household) you agree (and confirm that the relevant subject of the information has agreed) to us processing this information subject in the way set out in this document. If you are making a joint application or you have told us about some other financial association with someone else, a 'financial association' between you and that other person (or people) will be made at credit-reference agencies. This will link your financial records with that other person (or people) so that both (or all) your records will be taken into account in all future applications by either or both (or all) of you. This will continue until one of you successfully files a notice with the credit reference agencies asking that you are no longer financially associated with that person. Nobody other than you will be able to benefit from this agreement, which cannot be passed to someone else without our agreement. We will meet our responsibilities under this agreement within a reasonable time unless it is impossible for us to do so because of circumstances outside our reasonable control. Power Flush is a way of removing sludge and other waste from central heating systems. We may also suggest you correct any design faults which might cause problems to return. This work can increase the life of your system, and improve efficiency. When a repair is needed due to sludge (for example, damage to the pump, valves or radiators) we will complete this job, at no extra cost, as long as we have not already told you that you need a Power Flush or similar procedure. Our engineers will also tell you what other work is needed to avoid further problems, or offer you a different Safeheat cover option. If we recommend you carry out a Power Flush, we will charge you to carry out the work. Once it is finished, there will be no charge for any future Power Flush work that may be needed as long as you keep a continuous Homecover agreement with us at that property and as long as we carry out any work to correct design faults. Power Flush is a trademark. Any guarantees do not affect your legal rights under the Sale Of Goods Act 1979 and Supply of Goods and Services Act 1982, you can get advice about your rights from a Citizens advice bureau or trading standards department. If any term of the terms and conditions is held to be invalid, unlawful or unenforceable, it shall not affect the enforcement of any of the remaining Terms. These Terms and Conditions constitute the entire agreement between you and us with respect to the subject matter hereof. These Terms shall be governed and construed in accordance with English law and be subject to the exclusive jurisdiction of the English Courts.